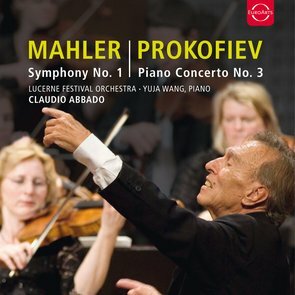 The charismatic and inspiring Claudio Abbado and the mesmerising young pianist Yuja Wang, with the LUCERNE FESTIVAL ORCHESTRA, hold the audience spellbound in this opening concert of the 2009 LUCERNE FESTIVAL. Prokofiev’s popular and vibrant Third Piano Concerto demonstrates the composer’s sharp musical wit, and Yuja Wang is a brilliant exponent of the work. Following this, and chiming beautifully with the festival’s theme of the relationship between art and nature, Mahler’s First Symphony is given an illuminating and rapturously received performance.